Polite, as I always am, I get a really good deal here. 2 lei are 50 US-cents. 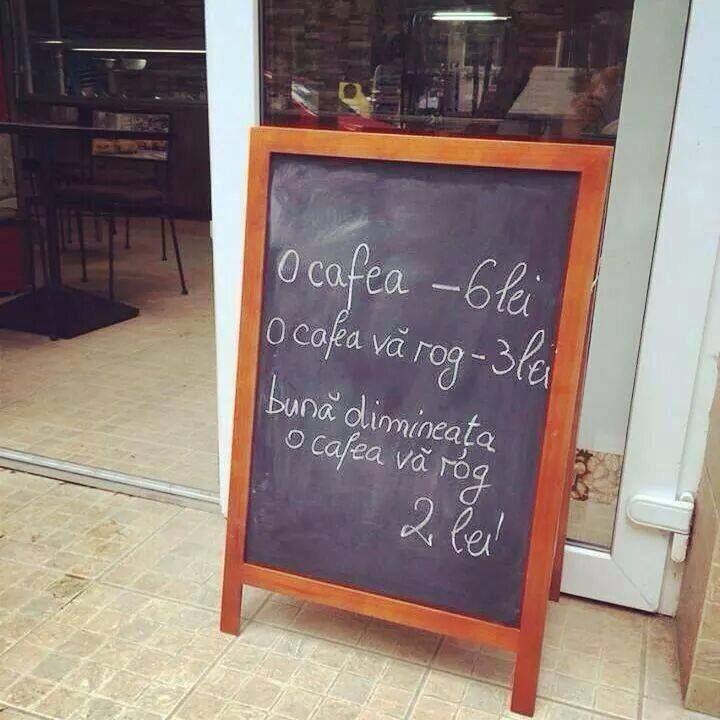 This entry was posted in Economics, Food, Romania, Travel and tagged coffee, Sibiu. Bookmark the permalink. But I hope to visit Sibiu soon because so many people have told me that it’s the most beautiful city in Romania. I think so too, but I’m not objective. Especially since everything in the city is tied to one memory or another. If you do, don’t visit only the centre, go especially to everywhere south of it, especially Sub Arini (Erlen) park and the neighbourhoods around it. You’ll eventually get to the Dumbrava Forest, with its zoo and open air folk museum. And further away (10km) to Rasinari , a beautiful village (traditional but also more alive than a lot of other villages and small towns in Romania), and to Paltinis, another 20km away , a little mountain resort. Just outside of Rasinari, before the real climb begins on the road to Paltinis, there are a lot of B&Bs and inns in a very picturesque area. I’m describing this route in such detail because it’s a great bike ride, on a path that starts between the centre and Sub Arini park and goes all the way to Rasinari. Thank you very much for that information!! When I visit, I will definitely stay for longer, so I can explore different parts of town and the villages and mountains nearby.